Last week I was so deluged with information at the NAB Show that I missed an interesting bit of news for everyone who enjoys local over-the-air TV. Didja, the folks behind Phoenix BTV and Bay Area BTV, launched its Los Angeles area version of the service, called SoCal BTV. The new service is pretty similar to its siblings. There are a few dozen channels, (37 as I type), including plenty of foreign-language, shopping, and religious networks. But there are a few nice offerings for English-speaking secularists, including an independent station, a community channel, and the diginet stalwarts Antenna, This, Buzzr, Comet, and Charge. Too bad it’s the first BTV market without Retro TV. All of these stations are available for free to any device that can prove that it’s in the local market. (Ahem.) 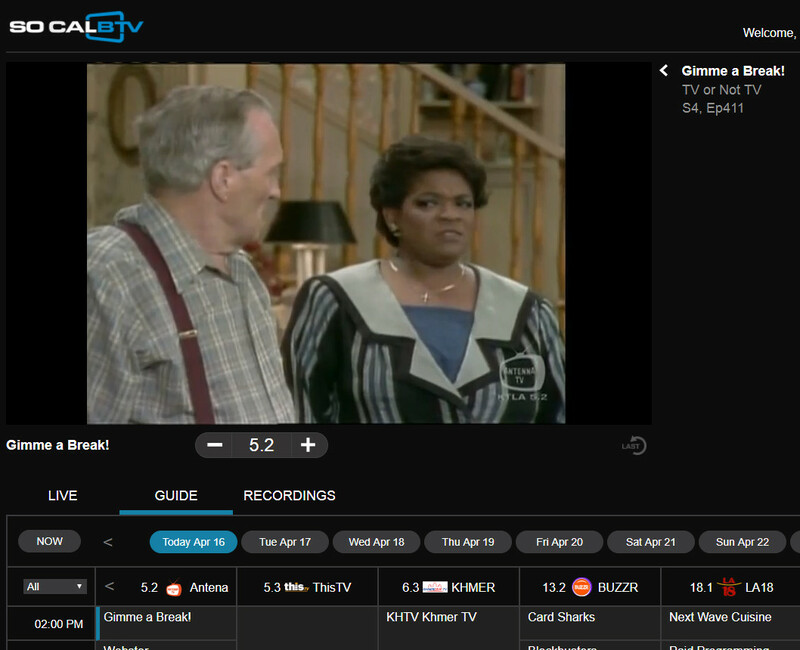 As with Bay Area BTV, Didja offers an inexpensive cloud-based DVR for its SoCal channels for $4.95/month. The SoCal site says, “Eventually, we’ll release a premium version of SoCalBTV with more than 50 channels of local broadcast TV including the most-watched channels!” That’s always been the promise, but I really wonder if they’ll ever get the major local stations to play along. According to Jeff Baumgartner, who somehow noticed this during the NAB Show’s opening day, Didja expects to launch later this year in Houston, Chicago, Washington, D.C., and New York City. That’s four more things to look forward to in 2018. Next Next post: Foreign Electronics?